Anya A'hearn from DataBlick has pulled off the win in the Biz Viz Contest, with her beautiful and controversial view, "The Great Divide". This ensures her a trip to the Tableau Customer Conference in San Diego, and a coveted seat in the Iron Viz Championship, against the winners of the two contests still to come this year. 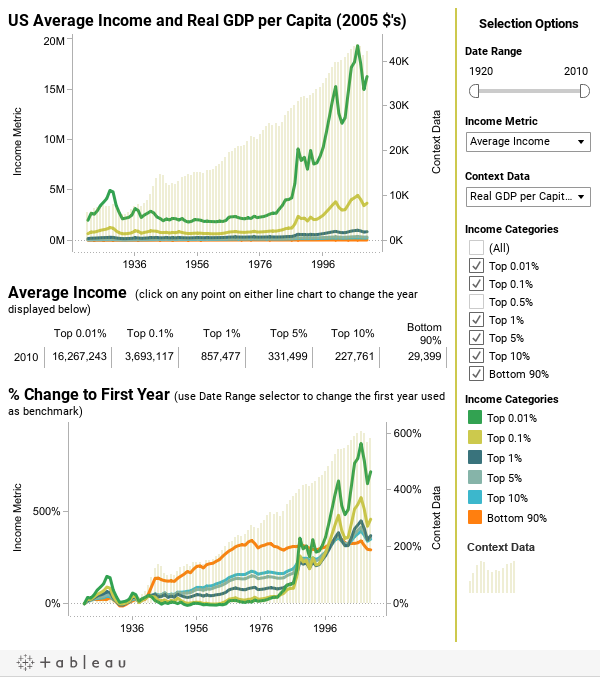 We like Anya's viz because it is well made and tells the story of income distribution in the US effectively. We love Anya's viz because it is controversial and thought provoking, just like a great story should be. Regardless of where you stand politically, we think everyone can agree that the viz invites interaction and discussion. Anya wasn't the only contestant, however, and she certainly isn't the only winner. By directing the most traffic to his view and driving up his page counter, Ben Jones wins the Crowd Favorite prize and $500! 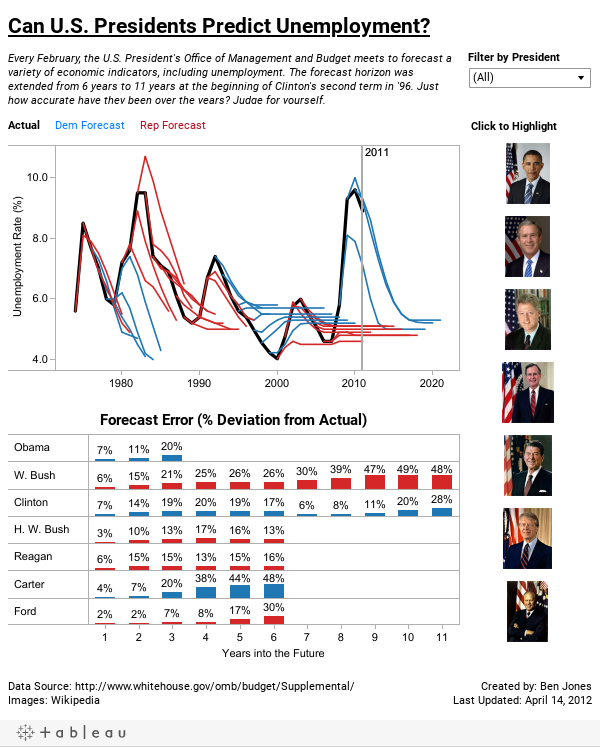 Had Anya's viz not been quite so good, he might have pulled off the win instead with his amazing viz of unemployment forecasting in the US. Bravo, Ben! Wish you could have gotten in on the action? Don't despair! We have two more contests coming up this Summer with the same great prizes! Keep a look out for your chance to snag a free trip to San Diego and compete in the worlds greatest viz competition.